Yesterday’s Census Bureau report for August is an indication of strength for the housing market. While the number of permits issued, which can signal how much construction is in the pipeline, decreased by 5.5 percent, home building rose in August as housing starts increased 9.4 percent compared with a year ago. The growth in housing starts is welcomed news after two consecutive monthly declines. Furthermore, the number of homes under construction has also increased by 4.6 percent compared to a year ago, indicating a new supply of homes in the future. Finally, this month saw an increase of 11.2 percent in the number of completed homes compared to August of last year, which is additional new net supply added to the housing stock. The continued year-over-year growth in completions means more homes on the market in the short-term, offering some immediate relief in alleviating housing supply shortages. Several long-term trends are currently boosting housing demand, particularly a growing economy, strong labor market, demographic tailwinds from millennials entering household formation age, and baby boomers living longer and more independently than previous generations. The increase in residential construction jobs, which grew 6.5 percent between August 2017 and August 2018, underscore this rising demand and builder confidence, and indicate that further increases in housing construction may be on the way despite cost challenges and skilled labor shortages. However, the latest developments with Hurricane Florence may pose a threat to this pace. Based on the National Hurricane Center storm surge estimate, we expect that more than $13 billion worth of homes, based on estimates of current market value, are likely to be flooded with at least a foot of water. Approximately 80 percent of these homes are expected to be in North Carolina. In total, nearly 50,000 residential housing units may be damaged. Due to the impacts of Hurricane Florence, we expect to see a dip in the number of permits, starts and completions in the next few months, particularly in the South. But hurricanes are not only detrimental to existing homes; they have significant impacts on the labor force. Research found that average labor costs increased 10 percent following Hurricane Katrina in the three metro areas surrounding New Orleans 1.5 years after the storm. As recovery efforts ramp up, the existing shortage of construction workers will be felt all the more keenly, likely presenting a challenge to rebuilding efforts and further limiting the pace of new home construction. The number of building permits issued, a leading indicator of housing starts, decreased by 5.5 percent year over year. Housing starts increased by 9.4 percent, compared with a year ago. The stock of housing units authorized to be built increased by 11.4 percent, and the number of housing units under construction increased by 4.6 percent on an annual basis. The number of completed homes, which is additional new net supply added to the housing stock, increased by 11.2 percent compared with a year ago. The annual increase in completions signals modest immediate relief from the housing shortage and sends an optimistic message about the housing market. In August, the overall pace of housing starts, at 1.28 million units, is a 9.2 percent increase from the previous month. Based on the less volatile three-month moving average, the volume of total residential (single- and multi-family) housing starts is 16,000 less than July 2018, but 17,000 units higher than a year ago. 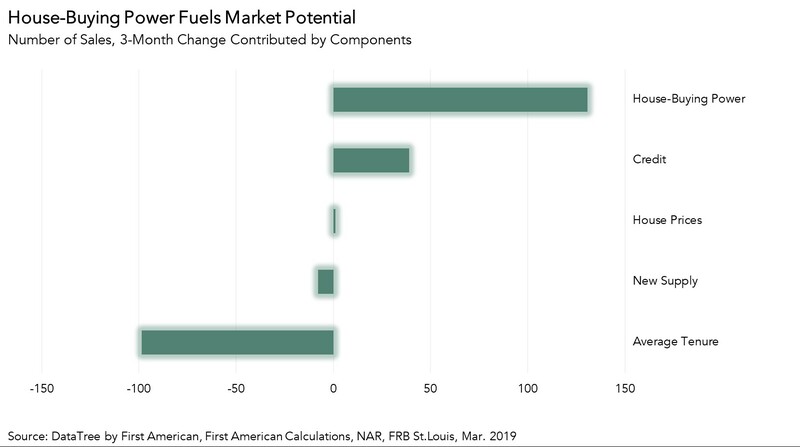 Housing starts are an important indicator of future supply as the housing market continues to face a supply constraint challenge. An estimated seasonally adjusted annualized rate of 1.21 million housing units were completed in August, representing a 11.2 percent increase from the August 2017 figure of 1.09 million – an important step toward producing enough housing to meet market demand. 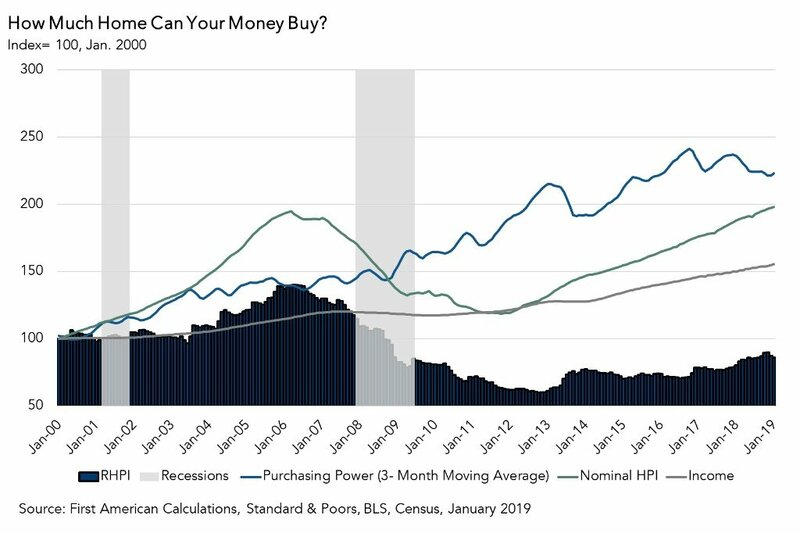 What Insight Does Monthly Housing Start Data Provide? Housing starts data reports the number of housing units on which construction has been started in the month reported, providing a gauge of future real estate supply levels. The source of monthly housing starts data is the “New Residential Construction Report” issued by the U.S. Census Bureau jointly with the U.S. Department of Housing and Urban Development (HUD). The data is derived from surveys of homebuilders nationwide, and three metrics are provided: building permits, housing starts and housing completions. 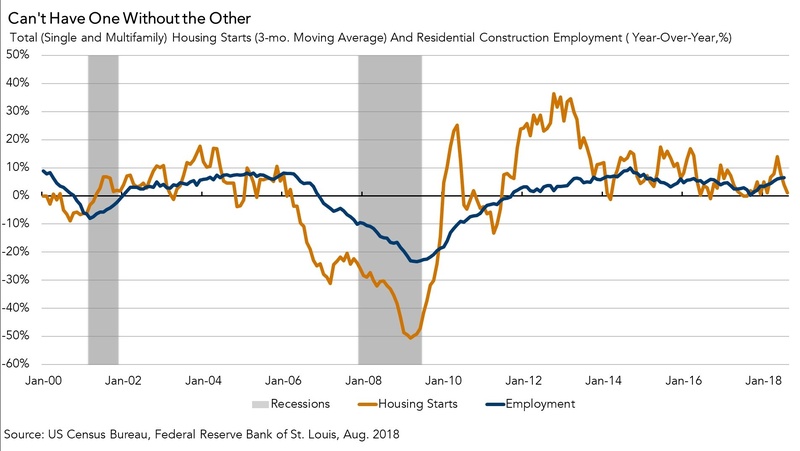 Building permits are a leading indicator of housing starts and completions, providing insight into the housing market and overall economic activity in upcoming months. Housing starts reflect the commitment of home builders to new construction, as home builders usually don't start building a house unless they are confident it will sell upon completion. Changes in the pace of housing starts tells us a lot about the future supply of homes available in the housing market. In addition, increase in housing starts can lead to increases in construction employment, which benefits the overall economy. Once the home is completed and sold, it generates revenue for the home builder and other related industries, and is added to the housing stock. What Will it Take to Reduce the Housing Supply Deficit? Blame The Homebodies: Why Are Homeowners Staying In Their Homes So Long?